Piano trio recitals that bring together the old world with the new world. Susanne is born in Austria, Marie-Louise is coming for this concert series from Sweden, and Ana lives in the Boston area, but came here from Romania. Our program reflects our origins as well as the new world that brings us together for these concerts: We are performing works by Austrian 18th century composer Joseph Haydn, Romanian George Enescu who bridges the 19th and the 20th centuries, living Swedish composer Ilva Skog, and Russian Sergej Rachmaninoff, living into the 20th century and becoming an American citizen before his death. 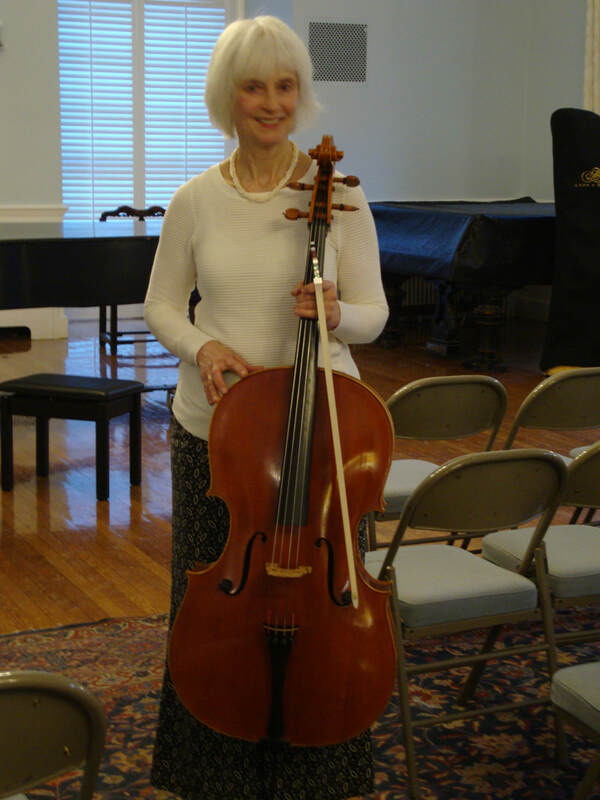 November 9 and 11, 2012: High Strings, Deep Voice Recitals at St. Botolph Club, Boston and the Rotch-Jones-Duff House and Garden Museum in New Bedford, MA. September 13, 2011: Jordan Hall, Boston, 8 pm. High Strings, Low Voice. A program for Baritone, Violin, Cello, Piano with Rupert Bergmann, Katharina Radlberger, Susanne Friedrich, Bill Merrill. Welcome to my cello world. Here you’ll find information on where I teach, what my newest performing projects are, as well as the homepages for Trio con Anima, Trio con Brio and the Vienna Waltz Ensemble – groups I cofounded and am a member of. 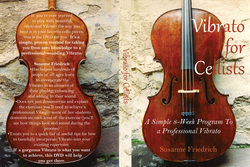 I am a musician and cellist and dedicate much of my time to teaching. My students’ ages range from 5 to over 70 years old. To me, the most important thing is to help them become the best possible musicians and bring out their talents. I am also an experienced performer, playing solo recitals and chamber music concerts as well as performing with many Boston area orchestras. If you’ve ever yearned to play with beautiful, emotional Vibrato the way you hear it in your favorite cello pieces, this is the DVD for you. It’s a simple, proven method for taking you from zero knowledge to a professional-sounding Vibrato. This DVD has helped hundreds of people of all ages learn to incorporate the Vibrato as an element of their playing, enhancing and adding to their sound. You'll find a quick list of useful tips for how to tastefully incorporate Vibrato into your existing repertoire. If a gorgeous Vibrato is what you want to achieve, this DVD will help you get there. Please go to my contact page and send me your information, if you are interested.